Fremont dentist Dr. Jorge Montane has years of experience helping his patients achieve the smile of their dreams through customized dental treatment plans. Call him at 510-795-0444 today to book your consultation. Teeth Whitening: As the name implies, teeth whitening helps to make stained, discolored teeth white again. Teeth whitening is a great option if your only concern is discoloration. Dental Implants: Implants are the only treatment for missing teeth that actually replaces the tooth root. This is important because missing roots can eventually lead to bone loss and jaw collapse. 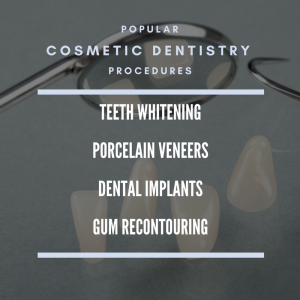 Porcelain Veneers: This is one of our most popular treatments, as it can correct a large number of issues with minimal prep and has results that last for decades with proper care. Gum recontouring: If you have gums that extend too far down the teeth, we can shorten them with laser gum recontouring to create a more attractive smile. If you have many different dental issues that you'd like to address, we can perform a custom smile makeover utilizing a combination of different procedures to get you the results you want. During your consultation, we will discuss your concerns and goals and find the best treatment plan for your individual case. The cost of a cosmetic dentistry procedure will depend on the procedure itself, how extensive the work is that you need done, the complexity of your procedure, and the number of procedures you have. Insurance may cover part of your treatment if it is determined to be medically necessary; however, purely cosmetic procedures are generally not covered. We offer dental financing plans to fit your budget, so please feel free to ask us about financing during your consultation. We are always upfront and honest about our fees, and we will give you an exact quote as well as an estimate of how much insurance will pay if applicable. We believe that every patient deserves a smile they can be proud of, so we will work with you as best we can to create a treatment plan that works with your budget. If you would like to take the first step on your journey to a beautiful and healthy smile, don't hesitate to contact Dr. Montane at 510-795-0444 to schedule your consultation. We pride ourselves on pain-free, compassionate care, and we look forward to meeting you. We serve patients in Fremont, Newark, Union City, and nearby Bay Area, California.